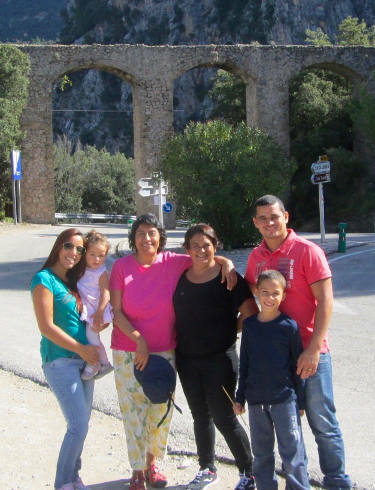 Through the Lord's amazing goodness, once again we were able to visit Mallorca. 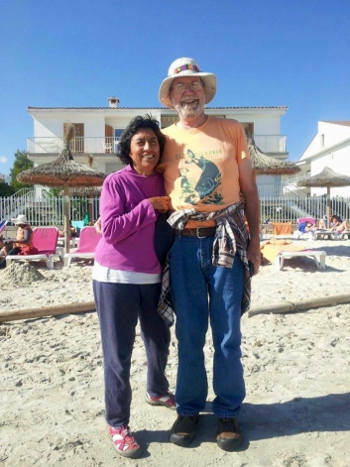 After what has been a very busy time, we managed to take a week in some warmer weather. We just got home again Saturday night, and it already seems like a dream that we were actually there! The whole island is covered with countless windmills from times gone by. 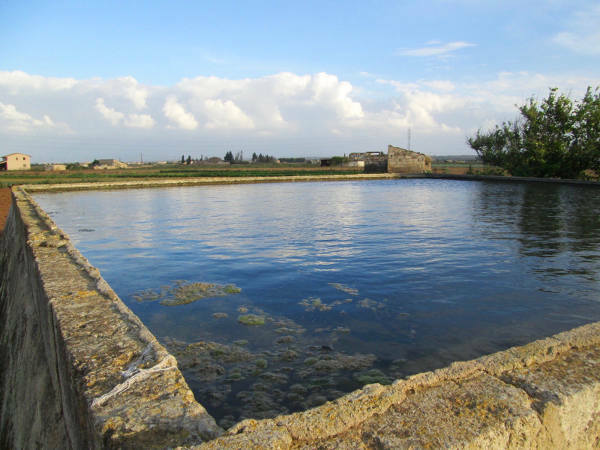 They were used to pump water for irrigation before electricity took over, and most of them are no longer in use. I couldn't help but notice the small crosses on the tails. 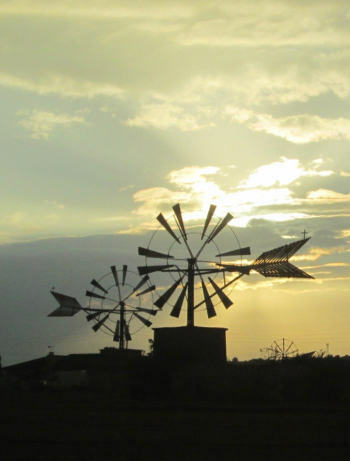 Like the windmills themselves, they are a poignant reminder of how people no longer feel the need to seek the Lord. This is not only tr ue for Mallorca, but is endemic the world around in this modern day and age. Thankfully though there are signs of a lively, if not numerous, Christian community on the island as well. This time we were kindly hosted by friends we have made there on our previous visits there, and we able to spend time together. It was our pleasure and privilege to be able to share and encourage them in their faith, and see evidence of God's blessing in their lives. Talking with another young friend one evening, he explained how many younger people who are tired of the world's ways are starting to seek a spiritual element for their lives. However many are drawn towards Jehovah's Witnesses or even Islam rather than to the church. The age-old Catholic tradition has no attraction for them, but it is relationship with Jesus they need, not religion. Please remember to pray that the spirit of God would move on this dry and thirsty land in the middle of the Mediterranean Sea. And also pray with us that men and women everywhere would learn to lift up holy hands in worship to our Holy God and Father! More praying saints invading Wales! 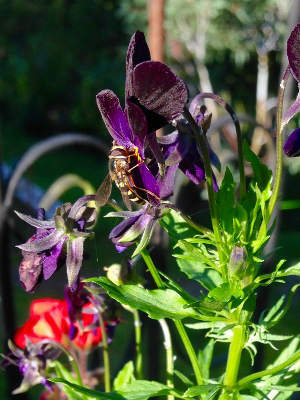 We have had exceptionally good weather the past few weeks, and lots of visitors too. And so it has been perfect for taking people to some of our favorite places to pray. 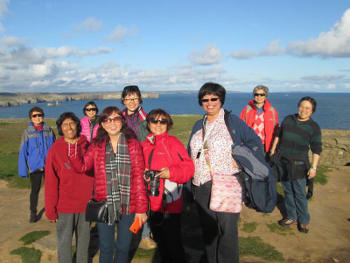 This group of eight ladies from Singapore spent two days with us. 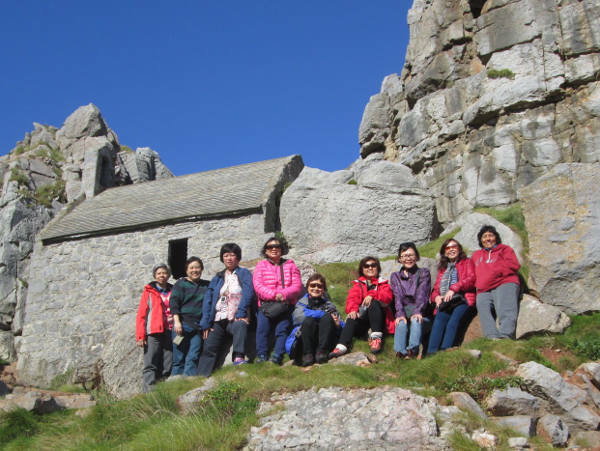 Here we are at St. Govans Chapel on an amazing day. We first visited this "thin place" over six years ago (See the story from March 24, 2009 here). It is always an inspiration to just come and pray in this spot that has been saturated by powerful prayers starting about 1500 years ago. What a privilege to introduce God's people to this bit of holy ground! The next day we took time to visit and pray in three other chapels, including our own Cilfowyr. 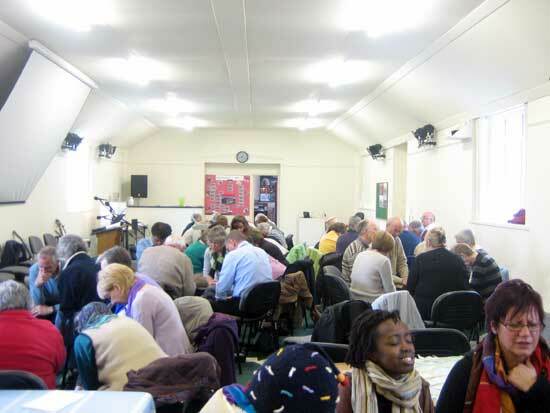 It is wonderful to think just how many people have joined us here for prayer over the years. Those prayers just keep adding up, and one of these days there will be a marvelous response from heaven! 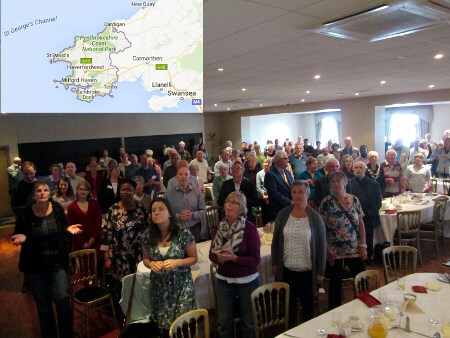 Then last Saturday was the Pembrokeshire Prayer Breakfast which has been running for several years now. It was very well attended with representatives from all over the large county. 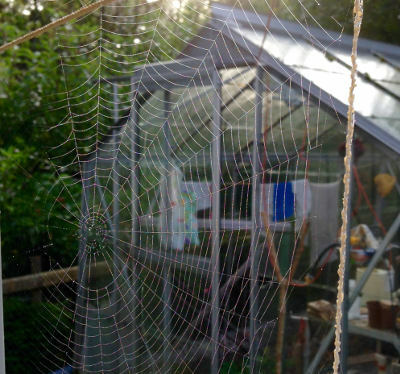 We live in the northern part by Cardigan Bay, and it encompasses the western tip of Wales. For reference, the county is just half the size of Rhode Island. 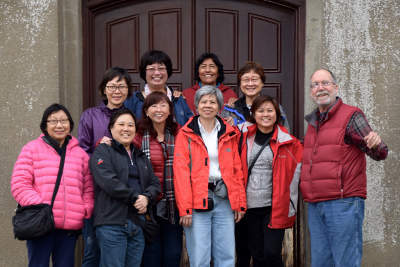 Yesterday we were joined a few members of a team from Singapore that had been ministering to Chinese churches in Germany, and to visit Wales for a few days. One of them stayed with us last year, and we were blessed meeting his friends who led the team. They were being shown around by a friend from near Cardiff and we arranged to meet here. 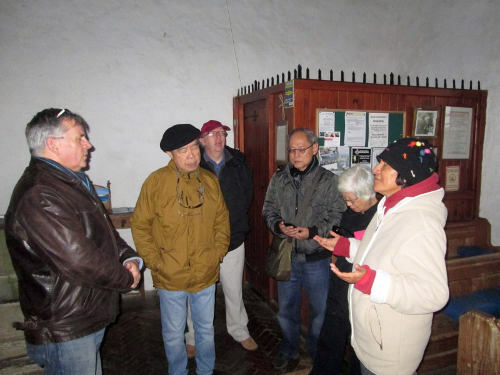 We had a special time of sharing and prayer at the old chapel by the sea at Mwnt. These are a few of the many things that have been going on lately. It seems the pace is picking up again, and we are in touch with friends that are involved praying in other places around Wales this week too. It has been such a blessing to help connect people. One says, "Great time, and it brought tears to my eyes. It was a privilege to participate. For first time I have taken part in open air prayer with a group so I am an apprentice intercessor. Thank you." What joy to see the Lord continuing to build up the army of praying saints here in Wales. We are so thankful, and expectant for more of God's endlessly amazing goodness and grace! A wonderful word and encouragement for Wales! You will remember that last month I mentioned we had gone the Bible College of Wales to hear Rick Ridings of the Succat Hallel Prayer Center in Jerusalem. I recently got the recording, and he was happy to let share some segments of what he said. They are both important and very encouraging! "The book of Rees Howells' life had a huge impact on myself and my wife many years ago. God really used it in a very powerful way to inspire us to believe the Lord, that in our day and age we could see the kinds of prayer happening that could shift cities, and shift nations. 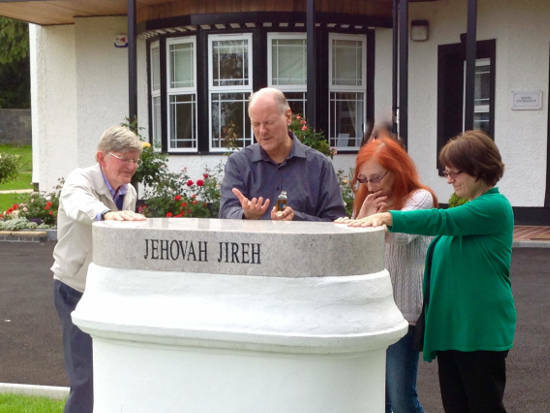 "I had a sense that the Lord was saying that this is a process of re-opening the wells not just in this bible college, but really all of Wales, and what a tremendous well that this nation was for the nations. It has been a process, and it's like Isaac's servants that dug out the stones that the Philistines had dumped in the wells of his father Abraham. And they had to take them out one by one. "I know many of you have been involved for many, many years in taking out those stones, and cleaning out the well. And I believe even just in the protocol of connecting today, you're connecting with Jerusalem and Israel in a very tangible way. And I believe that is taking another stone out of the well. And I believe it's adding to God's purposes. "Lord as we prepare to come to the end of what is called a Shemitah Year, in the understanding of most, a year of letting the land go fallow, to restore and redeem the land, we come to the Jubilee Year. So we proclaim today over Wales a Jubilee Year! Let this be a year of reclaiming all that the enemy has stolen. Let it be a year of returning all that has been lost or has been stolen or taken away in any way whatsoever. Let this be a Jubilee Year. Let it be a year of freedom, a year of reclaiming inheritance. "We thank you Lord for the wonderful concept of this Year of Jubilee in the scriptures, and we thank you Lord that it is something that we are grafted into as gentiles. We're grafted into this rich root and part of that rich root is the understanding that You are a God who restores, who redeems, who reclaims, who cuts off that which the enemy has done, which seems to be cycles of evil and difficulties. "But You break those cycles and there can be new beginnings - jubilee means new beginnings and breaking of old cycles. So we proclaim over the families represented in this room a breaking of any kind of wrong cycles, or repetitive cycles of sin, or repetitive cycles of family relations breaking apart, or whatever the enemy has stolen in each of those areas. "We proclaim over these families today - Jubilee. "Jubilee ... Jubilee... This is a year of the Lord's favor. This is a year of the Lord's restoration, a year of the Lord's redemption. And the redemption of this property is simply a sign from You, Lord. That it would come right at this time, right at the time of Jubilee, is a sign from You, oh God, that You have a plan for Wales that is not finished. "Greater things are yet to come. Greater things are still to be done. We thank you Lord for the wonderful heritage, the wonderful past that has blessed all of our lives so deeply. But we thank you Lord You've not blessed us to just sit around and talk about the blessing, You've blessed us to go forth with the blessing and be a blessing to the nations. "And we declare that Wales will once again be a great blessing to the nations. Wales will once again be a great blessing to the nations. Wales will once again have fresh songs of Life and Revival coming forth that will go forth into the nations and bless those nations. We declare this Year of Jubilee over Wales. "Wales, this is your time, this is your hour, this is your Jubilee! Arise Wales! Arise into your destiny! Arise into your calling! Build upon the rich past to go forth into the future and into the purposes, to not stop short of the full purposes of God. Not to bring forth just 30-fold or 60-fold or even 90-fold, but to bring forth the 100-fold that God has planned for Wales. "Let it come forth, we say. Let it come forth in the Mighty Name, in the power of the Lord Jesus, of Yeshua, who is Lord of the Jubilee. Who is the Lord who redeems, who restores, who reclaims. We thank You for this oh Lord, in the mighty name of Jesus, in the mighty name of Yeshua. Amen." Such a powerful word of encouragement and blessing. Thank you, Lord!